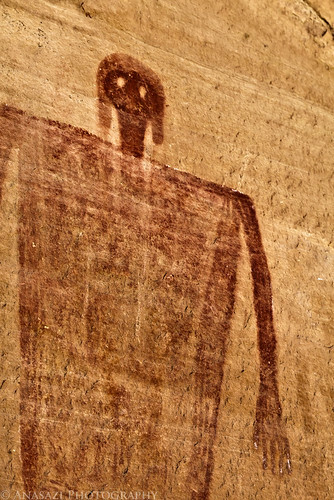 The Big Man Panel is a large Basketmaker pictograph panel found within Grand Gulch. The largest two figures found on the panel are the Big Man and Big Woman. This photo is a closer view of the Big Man.